Brazil is in a credit crisis as 5,525 business go out of business. Canadians are losing confidence as the economy spirals out of control. Consumer confidence in Norway declines. More layoffs in factories and companies. Home builder confidence tumbles as sales decline. Empire fed contracts for the 7th month in a row. Oil production is now frozen, Iran will continue to pump more oil. Central bankers pushing the idea to get rid of cash by dumping the $100 dollar bill. The Central Bankers want to initiate NIRP and they need to have a cashless society to accomplish this. US Government getting ready to go after private pensions to fund the government. Justice Scalia was murdered as more evidence surfaces. US Marshal arrest those students who are past due on student loans. Ukraine shuts down more checkpoints. Turkey continually bombing Syria for the 4 day now to keep the corridor open for the IS. NATO and the US pushing for WWIII. Broad retail sales, meanwhile, declined 0.9% marking the eleventh decline in thirteen months. They’re now off more than 16% since peaking in August of 2012. Consumer spending and affordability of products and services are just one component of a domestic economic system that alone it is not enough to bring a complete lack of confidence to a nation’s financial system. But when you add in a growing decline in confidence for that nation’s currency, retirement programs, and investing structures, you have the ingredients for a rebellion that leads to collapse. One of Canada’s biggest insurance and financial services companies says nervousness among Canadian investors has risen to levels not seen since the financial crisis. Mainland GDP, which excludes oil, gas, and shipping, rose just 0.1% in Q4, and Q3 was revised to unchanged. Current sales and buyer traffic tumbled in February for homebuilders whodowngraded their confidence index to 58 (from 61) missing expctations and at its worst level since May 2015. While futures sales hope rose very modestly, NAHB shows buyer traffic plunged to its lowest since March 2015 with every region seeing weakness (most notably The West). The Empire Fed Manufacturing survey has been in contraction (below 0) since July 2015 and while February’s -16.64 print was above January’s -19.37, it was dramatically worse than the expected -10.0.
the ECB has begun contemplating the death of the €500 EURO note, a fate which is now virtually assured for the one banknote which not only makes up 30% of the total European paper currency in circulation by value, but provides the best, most cost-efficient alternative (in terms of sheer bulk and storage costs) to Europe’s tax on money known as NIRP. 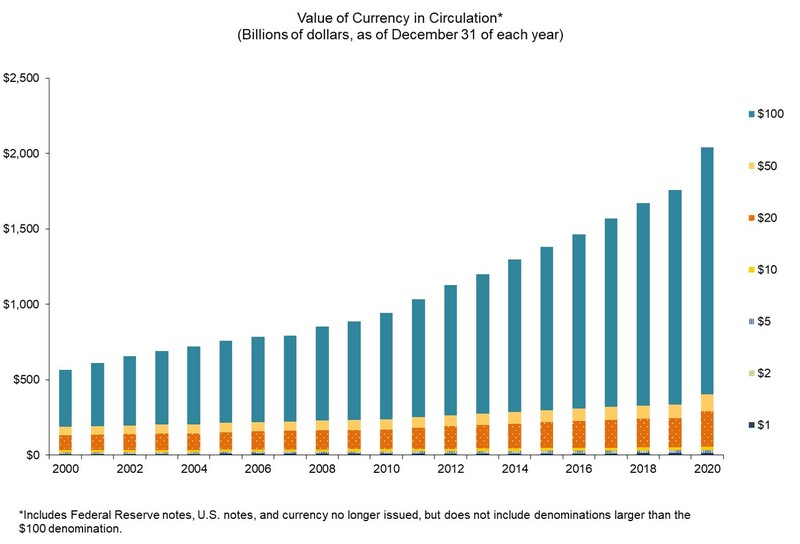 $1.4 trillion in total U.S. currency in circulation, $1.1 trillion is in the form of $100 bills. Eliminate those, and suddenly there is nowhere to hide from those trillions in negative interest rate “yielding” bank deposits. Scalia’s federal protection had been removed while he was at the Texas ranch. We’re told Scalia didn’t want that protection. Maybe yes, maybe no. We’re also told Scalia’s family didn’t want an autopsy. Again, maybe yes, maybe no. The family has been silent. Or if not, their statements aren’t being reported. Consider, as potentially relevant, the report that Scalia was found with a pillow over his head. The Senate is in the middle of a 10-day recess until Monday, giving Mr. Obama a chance to bypass Congress and install a successor quickly. Being behind on student loan payments in Texas could cost you more than your credit score. The US Marshals Service in Houston is arresting people who aren’t paying their federal student debt. Paul Aker said that seven deputy US Marshals showed up at his Houston home in combat gear. “I was wondering, why are you here. I am home, I haven’t done anything,” he didn’t receive any notice about a $1,500 student loan he received in 1987. He claims he was taken to federal court, where he signed a payment plan for the debt. “It was totally mind-boggling,” Aker said. This is far from an isolated incident, a source told the station. It isn’t the first time Marshals have served someone for being behind on loans, and they are planning to serve between 1,200 and 1,500 other people who have student debt. Months in the making, the FBI has released a low-grade, browser-based online game to try and educate teenagers about the tools used by “violent extremists” for recruitment purposes. The FBI’s interactive website, called “Don’t Be a Puppet: Pull Back the Curtain on Violent Extremism,” leads a viewer through a series of games and tips in order to teach what methods a radical group might use to recruit them. With each successful answer, scissors cut a puppet’s string until the puppet is free. Ukrainian billionaire president Petro Poroshenko called on Prime Minister Arseniy Yatsenyuk to resign and urged the formation of a technocratic government to end a political crisis and reignite an overhaul of the economy. Update: Ukrainian deputies collected 159 signatures, more than 150 required, which will enable them to proceed w/ no-confidence vote in Prime Minister Arseniy Yatsenyuk’s cabinet, ,This means Yats is out. Vladimir Gorbulin, wrote an article for zn.ua website, in which he said that the Ukrainian administration would have to use the army should Kiev fail to return the Crimea and the Donbass through negotiations. Numerous studies have found that immigrants bolster growth by increasing the labor force and consumer demand. immigrants generally pay more in taxes than they claim in government benefits. The less skilled often take jobs that are hard to fill, like in child care, for example, which allows more parents to work. Kerry warned that the mass influx of refugees and other migrants into Europe spells a “near existential threat” to the continent. As for Kerry, we find it ironic that the person now warning about refugees posing “a near existential threat” to an entire continent, was just five months ago so very eager to welcome 100,000 Syrian refugees to the US. Ankara has launched an “aggressive information campaign” against Russia to prevent losing control in northern and northwestern Syria, where the Turkish authorities have been “absolute rulers” in the past years, Konashenkov said. Russian-backed Syrian pro-government forces have cut off the last supply route, known as the Azaz corridor, linking partially opposition-held Aleppo with Turkey. If the last corridor completely falls, the rebel groups could lose the quarters of Aleppo they currrently control, mostly in the east. , the “Tiger Forces” – the special forces elite unit of the Syrian Arab Army (SAA) – have just entered in the strategic Thermal Power Plant located in eastern Aleppo. the Syrian forces entered the station after Islamic State militants fled from their positions witouth fighting. 350,000 soldiers, 20,000 tanks, 2,450 warplanes and 460 military helicopters are reportedly gathering for these “military exercises”.